It is a well-established fact that reading books to your children helps improve their literacy and love for reading. But did you know there are benefits of reading specifically Christmas books to your children? While the research on this is scarce to non-existent, it makes complete sense to me. So, here are the top 10 benefits to reading Christmas books to your children, in my opinion. Reading Christmas books also helps improve children’s ability to read, their love of books, and their love for words. Adds a variety to the everyday books that are being read. Pull out your Christmas books or purchase new ones and only read these for the month of December. It adds an excitement/anticipation and thrill to having seasonal books to read. It allows the parent/caregiver time to relax from work and additional holiday preparations by sitting near the Christmas tree reading books to their kids. This settles the children down for the night, as well. 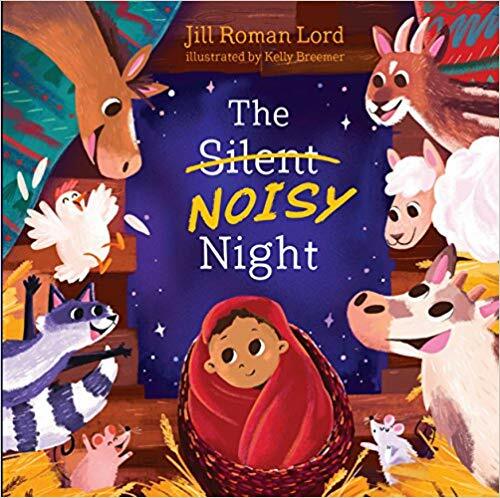 Teaches children at an early age about Jesus, his birth and what Christmas is truly about. Encourages the sharing of Jesus with their friends/cousins if they have them over for sleepovers. Read to them as well, because not all children know about the birth of Jesus. I read to a neighbor’s child that I was watching one evening and while reading a Christmas book about Jesus, he asked what a shepherd was. He was about 8 years old and had never heard of a shepherd. I was thrilled to be able to enlighten him about the events surrounding Jesus’ birth. Ignites children’s imagination because Christmas can be a magical time. In Christmas stories, reindeer fly, snowmen talk, mice dance, nature comes a live, chipmunks sing. Anything is possible in Christmas books, and it expands their imaginations. Opens conversation about Christmas and allows the opportunity to bring all the celebration occurring in Christmas books back to the real reason of the Christmas celebration: Jesus. Reading Christmas books around the Christmas tree is a great tradition to start and continue. Kids may look forward to this event and ask for it every year. There can be excitement in pulling out the box or basket of Christmas books that have been put away for the year. Pulls the whole family together. Great opportunity for your older children who may feel too old for picture books, to read to your younger children. Improves their reading skills and bonds the family. Jesus taught by example. He opened his arms and welcomed little children and we should do the same. Tuck those children into your arms, sit them down with you around the Christmas tree and open up a whole new world in Christmas books. Here are a few Christmas books that I highly recommend. Please share your favorite Christmas books below! Now gather your children and some Christmas books and have fun! Enjoy this spectacular time of the year! Merry Christmas! !